The Railhawks can’t seem to play a game in good weather. It was a rainy afternoon in Montreal, where the Railhawks defeated the Impact 2-1 at Saputo Stadium. The Impact were coming off an emotional high as they beat the New York Red Bulls in a friendly the previous Wednesday. 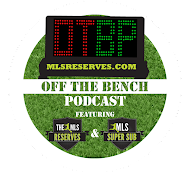 On that day it was Ali Gerba, former TFC striker, who played hero. He could create no such magic this game though. The game was open from the get go, with a lot of action for both sides. Carolina seemed to maintain possession for longer spells and created more scoring chances. The fans were treated to an early goal as Railhawk Etienne Barbara took a shot from outside the box that found its way in after a deflection. While some might suggest that Barbara was lucky, I subscribe to the idea that if you don’t shoot, you cannot score, and Barbara was right to take his shot. Chances for goals did not end there. Brilliant buildups continued as Floyd Franks made it a habit to beat the Impact players with sharp passing, at some points carving up the midfield with his precision. In the second half, it was Barbara again who received the ball at the top of the box and with some nifty ball movement, rounded his defender before firing the ball past Evan Bush to put the Railhawks up 2-0. It was Jonny Steele who found Barbara and played the ball through to him. The Railhawks offense is high flying this year, treating its fans to some brilliant attack. Barbara’s goal scoring prowess is serving the team well this season as he upped his tally to nine on the season, breaking his own club record. However, there does appear to be one flaw in the Railhawk's game. In the final minutes of the match Carolina gave up a soft goal and the Impact cut the score to half. This is the the second time in two games where the Hawks have given up a late goal. One wonders if the team is losing focus or if fatigue is the factor; either way it's an issue that needs to be handled. Trust in Martin Rennie to be aware of this. The Railhawks were able to hold on for the win however and improved to 5-1-1 on the year. The Railhawks seemed to have found a suitable replacement for Daniel Paladini (Chicago Fire) in Pablo Compos. Despite the two players being different in tactics and style (as well as position), they each bring a dynamic element to the game. It’s nice to see the Railhawks still have a game changer on the field. Furthermore Carolina owes much of their record to their new goalkeeper Brad Knighton. The stalwart goalie continues to come up with some brilliant saves and has given the Railhawks the edge in goalkeeping throughout the league. The Hawks return to Cary next Saturday (May 21st) to do battle with the Puerto Rico Islanders, their league nemesis. It’ll be a battle of orange and white. Be there or tune in online. 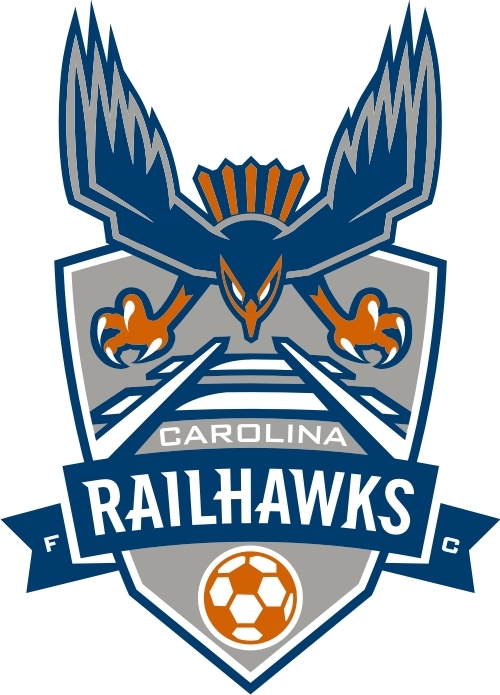 Carolina Railhawks.